Escape is only a deadly journey away. Be careful what you create. It could kill you. At first, seventeen-year-old Lauren Knowles is thrilled to wake up in Alrujah—a digital fantasy world she created with her best friend, Oliver Shaw—but the exhilaration of serving as a magical princess in her own video game fades as she senses a demonic force lurking in the shadows. Though they designed a world of wondrous beauty—blue-leaf forests, shimmering silver rivers, and expansive medieval castles—Lauren and Oliver soon find their secret realm to be an ever-changing land of dark oppression and deadly sorcery. With the help of Aiden Price and Erica Hall, fellow gamers from their high school in North Chester, the four teens must find a way out—a way that can only be discerned from the dusty pages of the ancient leather-bound tome, the Book of Thing to Come. Faced with questionable allies, invisible enemies, and increasingly dangerous levels of difficulty, the four must learn to forge alliances, battle side by side, or stay forever lost. Honestly, I wasn’t sure how I was going to feel about The Book of Things to Come when Aaron reached out and asked for me to read it. I liked that it was a YA Christian Fantasy Adventure – because finding books for the kids isn’t easy! – but beyond that, I wasn’t sure if it would be something I could love. Yet, I couldn’t put The Book of Things to Come down after picking it up. First, I fought over the review copy with the kids until I finally just grabbed myself a kindle copy. Then I was drawn in and loved how it felt so real. From the despair and angst of being an unloved teenager to the battle scenes we were drawn through the book and could barely wait to read the next section. I loved how so many aspects of a Christian life are brought into The Book of Things to Come: Standing firm on God’s promises, trusting His word for daily life, heartache when those you love don’t believe, and believing in His strength even when the chips are down. I loved how they prayed. They trusted God. They grow in their love and friendship. For me this was sort of a mashup of the movie Ready, Player One and Lord of the Rings. Definitely something I’ll read again and share! Steam: YA | The battle scenes and ‘romance’ are appropriate for most. 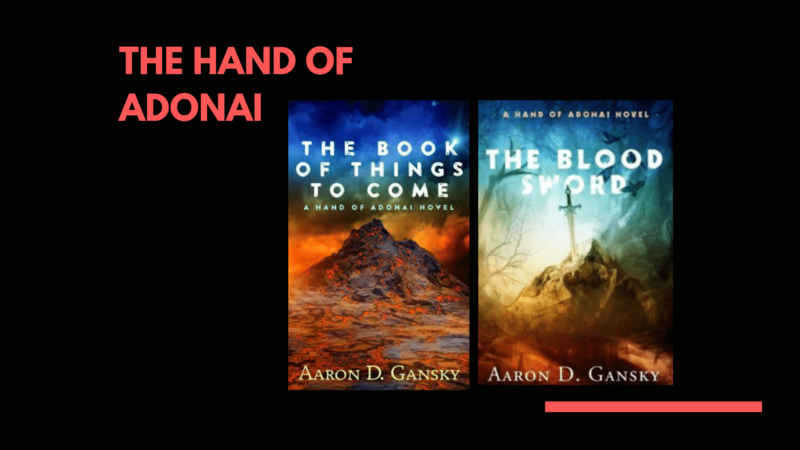 In addition to being a loving father and husband, Aaron Gansky is an award-winning novelist, teacher, and podcast host. In 2009, he earned his M.F.A in Fiction at the prestigious Antioch University of Los Angeles, one of the top five low-residency writing schools in the nation. Prior to that, he attained his Bachelor of Arts degree in English with an emphasis in Creative Writing from California State University of San Bernardino, where he studied, in part, under Bret Anthony Johnston, now the Director of Creative Writing at Harvard University. 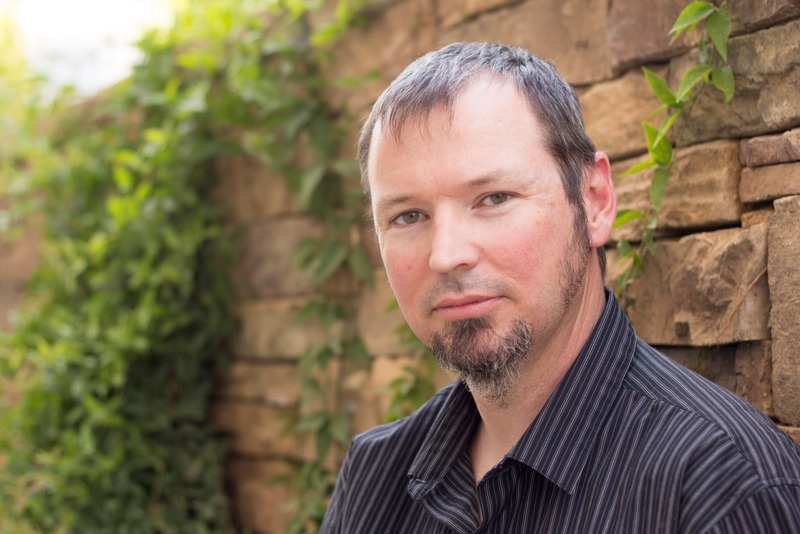 His first novel The Bargain (2013, Lighthouse Publishing of the Carolinas) was a finalist for the Selah Award for debut novel. 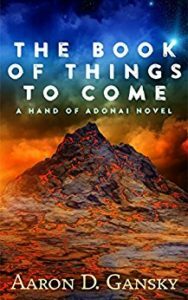 Two years later, The Book of Things to Come (2015, Brimstone Fiction), the first book in his Hand of Adonai YA Fantasy series, won the Selah Award for YA Fiction. He has written two books on the craft of fiction; Firsts in Fiction: First Lines and Write to Be Heard (with Diane Sherlock). As a Creative Writing teacher in California, he brings his expertise on the craft to several writing conferences around America where he speaks on a variety of topics. In 2013 he began his Firsts in Fiction Podcast with Steve McLain. Shortly after, Heather Luby joined the line up. Lately, he chats with his father, novelist Alton Gansky, about elements of the craft . Each week they dispense practical, in-depth analyses of how to write powerful fiction.